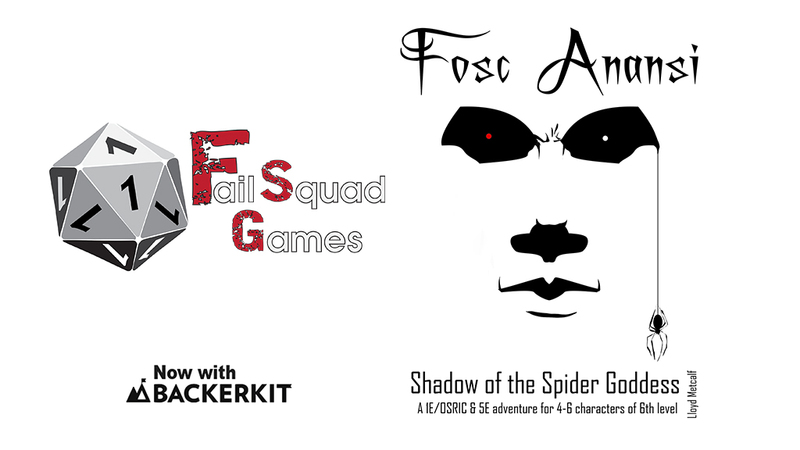 is then next adventure module from Fail Squad Games that is going to print with the help of backers like you through Kickstarter! This will be the first Hardback from Fail Squad Games available to the public! Silent crawlers with a venomous bite. Web spinners, creating sticky, beautiful homes that double as deadly traps. Nature’s most artistic killers. Gnomes! Opportunistic dark gnomes, looking for profit, who stumbled upon an inter-dimensional substance—experimental, yet undoubtedly powerful. Then something came creeping down the strand that connected the spiders to the inter-dimensional world, a shadow—the Shadow of the Spider Goddess!